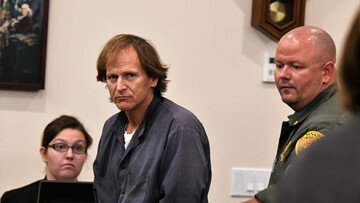 Ryan Austin Lee, 43, faces up to 15 years in prison after convictions on two separate incidents. They're asking federal prosecutors to charge Krystal Kenney, and any friends she may have told about the crime, with conspiracy to commit murder. 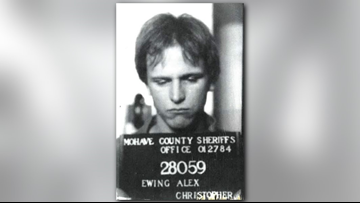 Alex Christopher Ewing is fighting an order that he be returned to Colorado to face charges in two 1984 murder cases. Resolution is not likely until mid-summer, at the earliest. 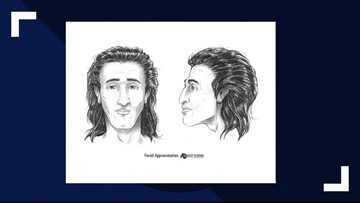 Facial reconstruction of the skeletal remains of a man found near Gregory Canyon in 1993 may offer new clues into his identity. Sol Pais, 18, of Florida is accused of making a threat against the Denver metropolitan area that prompted lockouts at multiple Colorado schools, according to the Jefferson County Sheriff's Office and FBI. Anyone with information about her whereabouts is asked to call the FBI tipline at 303-630-6227. The public should not approach her. The Department of Public Safety recommended all schools in the Denver area conduct a lockout and controlled release immediately, a tweet from the Colorado Department of Education says. The Jefferson County Sheriff's Office provided an update on a "credible threat" that prompted lockdowns and lockouts at multiple schools around Colorado. Prosecutors said they did not have sufficient evidence to meet the necessary statutes to charge Jeremiah Hartzel. Five suspects were taken into custody following the incident thanks to a crumpled-up Walmart receipt found near the crime scene, according to an arrest affidavit. 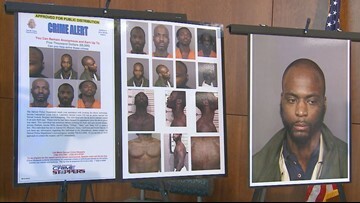 The reward for information leading to the arrest of 34-year-old Jerome Lekendrick Lucas has been increased from $2,000 to $5,000, Denver Police announced Friday. 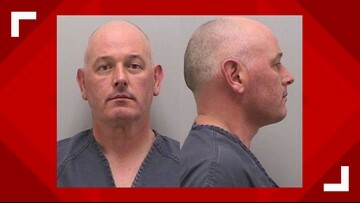 Alex Christopher Ewing is the suspect in the killings of Patricia Louise Smith and Bruce, Debra and Melissa Bennett. He's appealing an order that he be transferred from Nevada to face charges in both cases. A female firefighter spotted a camera inside a sleeping area, according to the Denver Fire Department.